As a benchmark, for the last several years, we have consistently had 20-25 sales along with 3+ lot sales. Based on our trends we do look to be catching up with several more about to close. It has been very productive watching our values grow over the years as well! 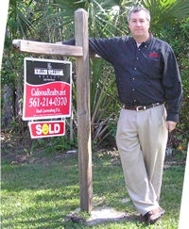 If you are thinking of purchasing multi acre property in Northern Palm Beach County, visit www.Caloosa.net to learn more about Caloosa as well as to view the active properties on the market. If you are looking in the expanded area, you can visit www.MultiAcre.com to chec a variety of multi acre communities and neighorhoods.